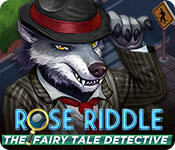 Rose Riddle: The Fairy Tale Detective is rated 4.4 out of 5 by 15. Rated 5 out of 5 by ptdoc62 from My new go-to game!! Love, love, love this game!! It's got a great storyline and great characters. 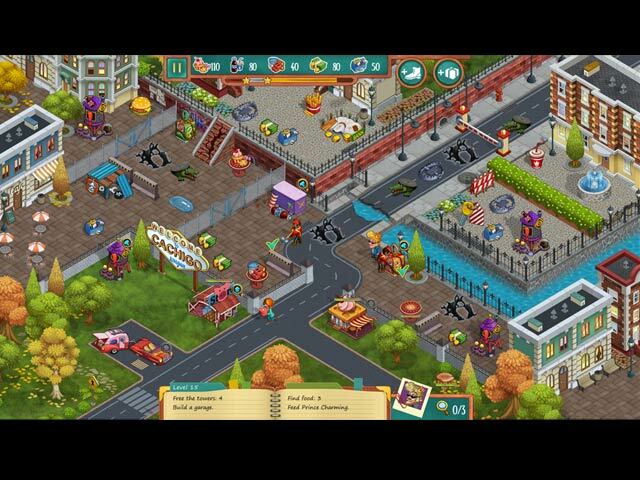 the game is quite challenging, but all of the levels are possible to complete in the allotted time. The sound track is awesome!! The music is really fun to listen to. It's become my new go-to game. Would definitely recommend this game!! Rated 5 out of 5 by Ranroo from Nice use of classic material Entertaining and interesting. Involved enough to hold my attention, but not so difficult that it frustrates you and makes you not want to play. Rated 5 out of 5 by ImPassingTheTime from Brilliant, Fun, Awesome Thank you to the developers of this game. Truly fun! Forget the mindless clicking of so many TM games and be prepared to use some strategy and thought to get the gold every time. Actually bothered to read the story this time, which I rarely do with other games. Thank you again for a quality game! Rated 5 out of 5 by dennis01 from Very enjoyable TMG Loved the game and the storyline was great. Was challenging enough to keep me hooked. Rated 5 out of 5 by gailm_1958 from Fun Game Great TM game, had fun playing it. 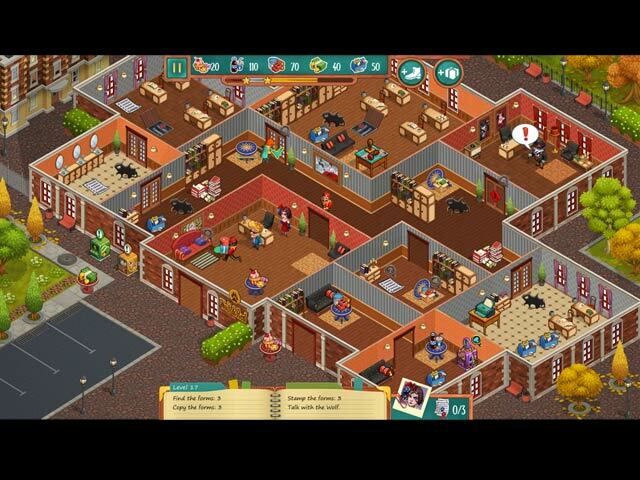 Rated 5 out of 5 by GogaO from Awesome What a great and funny Time Management game! Loved everything, including the Bonus too. Rated 5 out of 5 by khendrick1 from Loved it! Wow. This was super fun. 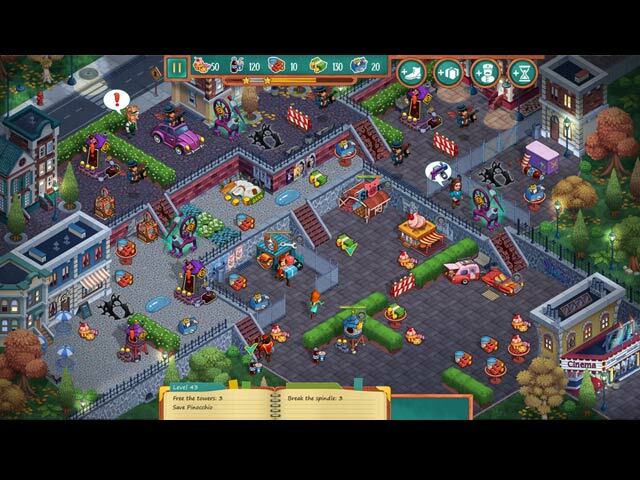 Reminded me a bit of Incredible Dracula and Fairy Godmother tycoon. I loved the story line. It was so fun that I knew I was going to buy it before I was half way through the free trial. The story was great too. It was a little confusing at first but I really wanted to read all the asides to know what was going on. Rated 5 out of 5 by pennmom36 from YOU WON'T MISS WHAT'S MISSING! I fell in love with this game immediately, but didn't think it was worth the Collector's Edition price, as it was first presented in. This is an awesome Time Management game, and this Standard Edition version is well worthy of the price, you won't miss what's missing! Here's a recap of my review to help you decide which version if either is right for you: I haven't played a TM game this fun for quite some time. I love everything about this game with the exception that I could care less about the CE extras and the price tag that comes along with it. This is a hard game to describe, it's different, but the same!? The story line actually pulls you in, which is really quite exceptional for a TM game. Rose Riddle was abandoned at an orphanage when she was just a baby, so she never knew her parents, who they were or even if they are still alive. One fateful day she receives a letter telling her to search for the answers she seeks on Route 66. So off she goes on a trip in search of her parents, but things suddenly get real when she's swept away by a tornado in Kansas. Rose Riddle has found herself in a strange world full of fairy tale creatures! Fairy tale characters you meet along the journey will help you once you help them of course. The story is kept in your journal and with each level, you first collect resources, repair bridges, build farms, all the usual TM tasks. Once you have found the items and completed the tasks, you refer to the journal to investigate. Some of the levels switch from outdoors, to inside the palace with several rooms to investigate, on several levels, which was actually kind of different and unusual. The fairy tale characters you meet are interesting and it's fun to read what they have to tell you. The Collector's Edition has 24 Trophies to earn, 5 Music Soundtracks, 4 Wallpapers, 17 Character Bios, Bonus Levels and a built in Strategy Guide. For me personally, these things don't interest me enough to warrant the price difference, so I'm super excited that this Standard Edition has finally arrived, enjoy! Rated 4 out of 5 by Kirland from So Much Fun! I really liked this TM game. It was pleasantly different from the typical TM games. The characters were funny and snarky. A fun way to use childhood fairytale characters in a TM story. Clever. I gave this one four stars because of the speed reading factor. I just couldn't get all that was said in time before the caption was gone. Maybe others had success in Normal mode at getting three stars. I was fine up until chapters 10 & 11 and playing them repeatedly, I just couldn't get the needed time to get gold. I decided to reply in relaxed mode and was very happy with the various scenes and easy play. Hope you give a try. Happy gaming!